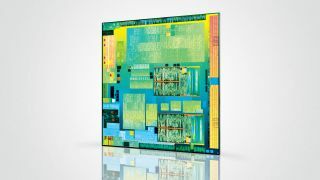 Intel's Atom processor was always a good idea. Shrink the power profile associated with the full-power x86 instruction to ultra-mobile proportions. Or rather, it was a good idea ahead of its time. In fairness, Intel probably had to get the Atom project rolling when it did, back in 2009. That's because mobile is such an epically important market. Intel not only had to be seen to be doing something, even if manufacturing technology wasn't quite ready to do x86 justice in ultra-mobile form factors like phones and tablets. It also had to commit to mobile in the long run and give itself the best chance of succeeding. Ironically, that meant wheeling out a series of Atom chips which I'm fairly sure the company knew weren't terribly compelling. But it was all part of the process of preparing both the market and its own design, engineering and manufacturing processes for the coming ultra-mobile uplift. Anyway, Intel has been showing off its latest and greatest Atom platform, codenamed Bay Trail, at the IDF conference in San Francisco and as the news is all good. Early benchmarks indicate that a quad-core Bay Trail system has CPU performance very close to AMD's quad-core Jaguar-based chips. I happen to have been running a quad-core Jaguar-based thin and light system for several months now, so I'm very familiar with the experience you can expect in Windows 8. And it's just dandy. OK, you wouldn't really want to encode 1080p video on the fly. But for day-to-day computing, it fits the good-enough definition just fine. But here's the thing. Under heavy load, it's thought Bay Trail consumes just one to two watts of power. Now making direct comparisons is very difficult. But it looks like an equivalent AMD Jaguar-based chip guzzles at least four times and maybe as much as ten times as much power. That matters because it means Intel will be able to drive true good-enough x86 computing into smaller form factors than ever before. Does that include smartphones? The verdict is out on that question, unfortunately. Bay Trail is targeted at tablets, not smartphones. There will be an Atom platform known as Merrifield and based on the same new CPU cores found in Bay Trail. But it's not yet clear just how much performance will be lost in that transition. Whatever, I'm not too worried. For me, it's step-by-step. Given me a proper x86 Windows experience in a 10-inch tablet convertible at the same low prices as the ARM-powered Android masses and I'll be a very happy bunny indeed.